Home » Comics » Paper Demon OC Party! Paper Demon's FIRST Original Character party- open for ANYONE to join! Come have fun, let all your characters relax in out budgetless mansion that looks however we want it to! 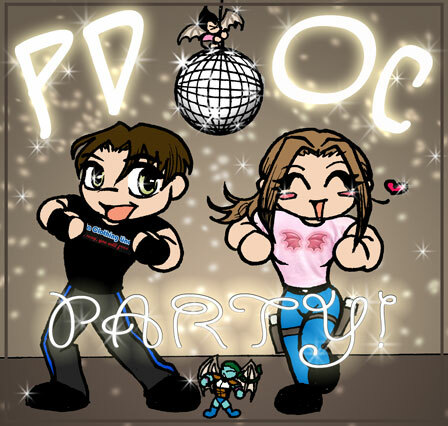 Submit your OCs profile to this forum here!! All newbees must sign into my attendance forum with a description and picture of the character at the party! Please note me ( arkillian ) with your submissions. Don't worry if they're out of order with what is posted. Just go ahead and have some fun!! The Party begins. You're in a house with heaps of cool people of all shapes and sizes. You want a bean bag to sit on? It's there. You want a BMW to cruise around in? Be our guest! paper demon original characters party paper demon oc party!